IT’S BEEN a good summer so far with spells of fine, warm weather – and that means a change in tactics when it comes to most of our fishing days. Warmer weather, bright sunshine (ok maybe not every day!) and water that often carries a lot more colour means we need to think more about gear, bait, feeding and presentation. But don’t worry – in most case this means fishing can be a lot easier than it was in those dismal, cold months of winter when we also had to contend many days with clear water. For me summer fishing comes into two simple categories – the days when the fish want to feed and those when they are decidedly difficult. Let’s deal with the hard fishing first! Quite simply when the weather is too warm and the sun very bright the fish switch off. It’s a bit like us. We don’t normally eat as much when the weather is like that and some of the time we need to spend in the shade. You can still catch but it might be a case of picking off the odd fish – particularly ones on the surface – and maybe scaling down the size of your hook, diameter of your line and being very careful how much you feed. That’s the answer in a nutshell – except to keep in mind that if the weather is overcast the fish may well fancy a munch, and remember that evening sessions when the sun is going down or early morning before it rises are usually brilliant. Smaller hooks and lighter line still have a part to play in warmer months, for days when it’s unexpectedly hard. Now to the easy bit…catching when the fish want to feed! Warmer water and dull days usually mean a fish catching a bonanza. The water is usually more coloured this time of year, be it rivers or stillwaters, and that means you don’t have to worry too much about size of hook and line – although they should still both be matched to size of bait and fish to be caught. You also want to be able to present bait properly so that means no going over the top of line strength or hook size. If you think that an 18 or 16 was fine before – step this up to a 14 or a 12, so long as the bait matches the hook. Likewise, if you were using a 2.5lb or 4 lb line, you may now be able to use a 4 lb or 6 lb line. With the low diameter lines available nowadays it is so much easier to go up in diameters and get higher breaking strains. If fishing near lilies you don’t want to be undergunned – get those fishes’ heads turned quickly! Fish in summer will be sheltered in cover under weed, pads, trees, bushes, even more so than they would in winter. They could also be more inclined to fight harder. 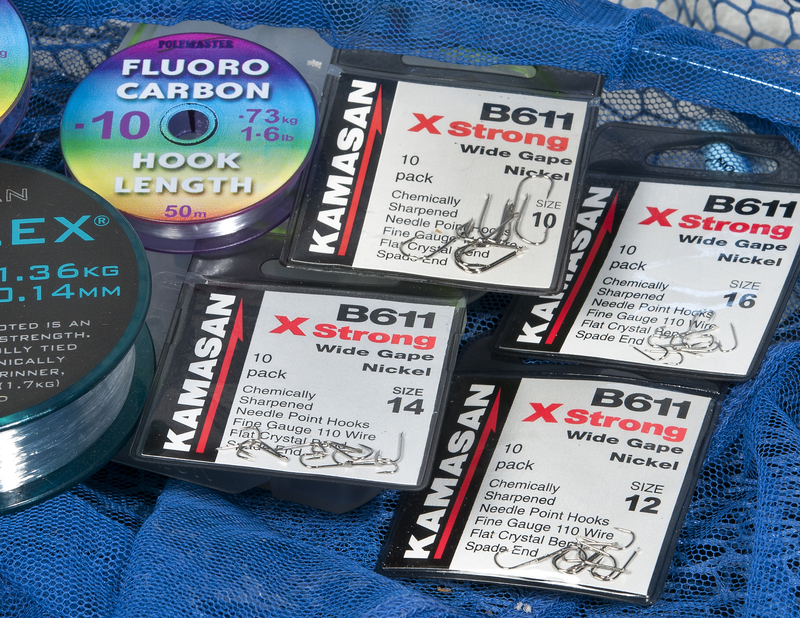 Those are the main reasons for your heavier duty tackle. 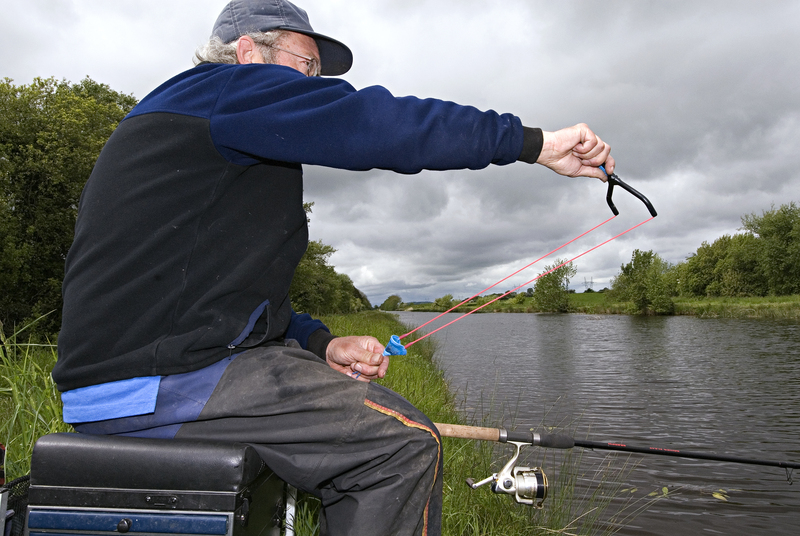 But also remember that if you do hook a good fish you want to land it – no point getting a bite and hooking a specimen if you can’t get it out! I was out with my cousin at a new venue for him and he started on a sensible 4 lb line to a 16 hook. As I knew the water I was straight on 6 lb to a 14…and he soon changed after his first rig disappeared into some brambles! The water in this lake is just 3ft deep but you won’t seen below three inches at this time of the year due to the fish stirring up the bottom. There is no need to fish fine because of water clarity! The fish always fight hard in this lake and now that branches have foliage, brambles are as sharp as ever and there is also bankside foliage and lily pads have grown back you don’t take risks. You can increase your feeding usually at this time of year. The feeding pattern was just the same. Until a few weeks ago it was very little every so often and feel your way into how the fish are responding. Last week it was little and often until the fish started to munch and then up the feed levels dramatically. We hadn’t been fishing for half an hour when I had already upped my feed to almost half a small handful of pellets every drop in – and believe me there was not a lot of time between drops in! With plenty of bream, a few carp, barbel, rudd and roach caught all day long our more positive fishing certainly produced. Christmas comes early to my venues! Has Christmas come early near you? It certainly has around here! Well at least it looks like we are already in the festive season with the amount of floats and feeders dangling from trees around some of the venues I have fished recently. We all have the odd cast go astray but on some venues it looks like there has been a determined effort to put so many rigs into the bushes! I know a few venues where the owners get boats or chest waders out and recover snagged up tackle that obviously makes their venue more attractive. Some of these guys even give this recovered gear to kids or charity – more great news. I can’t understand why other venues just leave stuff dangling. It’s unsightly, possibly dangerous to wildlife and certainly an added hazard to other anglers when trying to cast to fish holding spots. Have you also noticed how a lot of the gear up trees is…well, let’s be kind and say rubbish that some owners would quite rightly just bin! That hints at novice anglers but it also begs the question who is selling tackle that shouldn’t see the light of day? There is so much good gear around today and at bargain prices that there is no need for horrible giant floats that have no use or big barbed hooks that are probably banned on the venues anyway! 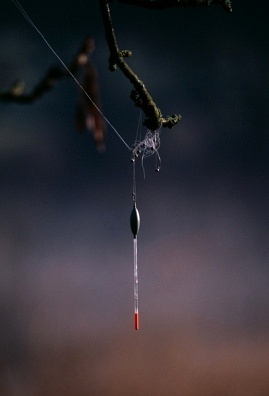 Oh and of course the sea fishing line that really should have pulled the tree down rather than snap when it got snagged!